I don’t know why, lady, but I just don’t like you. A barracuda jumped out of the water and bit a 45-year-old woman kayaker in the chest in the Florida Keys, causing injuries which required her evacuation by boat and helicopter to a Miami hospital, the U.S. Coast Guard said on Monday. 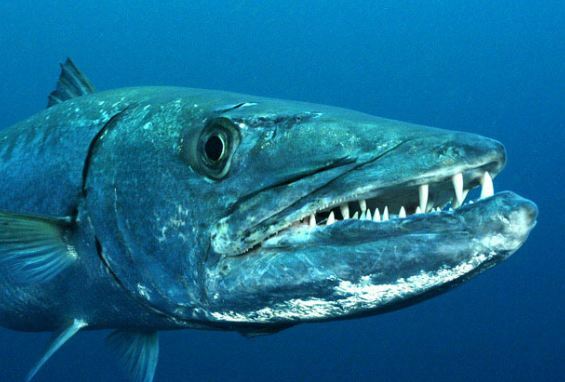 via Jumping barracuda injures kayaker off Florida Keys – Yahoo! News. October 18, 2010 Posted by oldstersview | animals, boat, Strange	| FloridaKeys | Comments Off on I don’t know why, lady, but I just don’t like you. Serving on a sub? You can still smoke. You just have to step outside to do it. The (US) Navy will ban smoking on all submarines as of December 31, bad news indeed for sailors who spend months at a time onboard the ships. According to officials, studies have shown a high health risk due to the amount of second hand smoke on subs, thus the decision has been made to phase out the nasty habit. April 10, 2010 Posted by oldstersview | boat	| smoking, submarine | Comments Off on Serving on a sub? You can still smoke. You just have to step outside to do it. Every retired person needs a hobby… but submarines? A Chinese pensioner has been awarded an official government licence to build submarines. 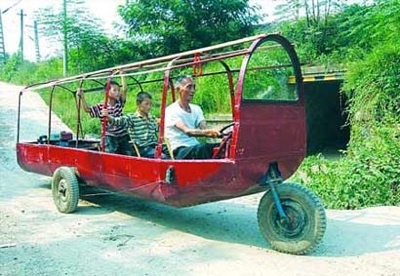 Li Yuming, 68, who has only an elementary school education, has built seven submarines since 2003, reports IC Media. …The retired shoe maker spends all his free time inventing things: “I like challenges, especially those which seem impossible,” he said. Li’s first four submarines were not fully seaworthy and the fifth one he built was the first to notch up a successful voyage. February 10, 2009 Posted by oldstersview | boat, Strange	| submarine | Comments Off on Every retired person needs a hobby… but submarines? Members of the Martin County Fire Rescue Hazmat team responded to a fuel clean-up Tuesday morning after a boater pumped [100 gallons of] gasoline into his fishing rod holder instead of his gas tank. May 14, 2008 Posted by oldstersview | accident messes, boat, Dumb Stuff, People	| gasoline | Comments Off on Ooops! Look! Up in the Sky! It’s a bird! It’s a plane! It’s a… boat? Two golfers yesterday watched open-mouthed as a speedboat flew 100ft through the air in front of them and landed in a greenside bunker. French tourists Claude Bieth and Catherine Guillet were playing the sixth at the famous Loch Lomond course when the boat hurtled out of the water and took off. The boat’s driver managed to jump to safety before it hit the shore. Talk about course hazard! That is one tough course. 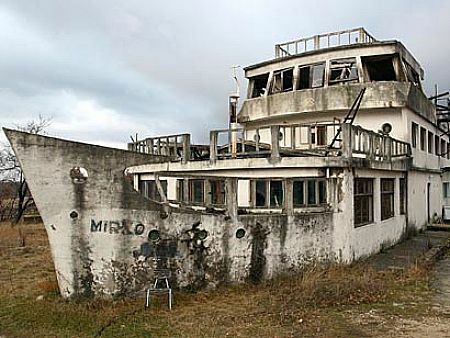 May 13, 2008 Posted by oldstersview | boat, Strange	| boat, golf, hazard | Comments Off on Look! Up in the Sky! It’s a bird! It’s a plane! It’s a… boat? Oops!? Not really. He knew it all along. A [Cornwall] man who built a home-made boat in his back garden over five years was left scratching his head after discovering he’d made it too big for him to get it out. 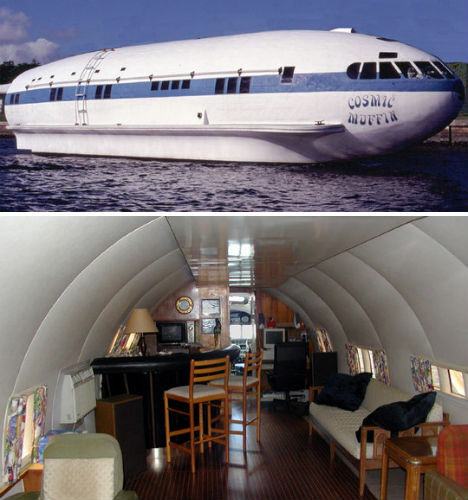 Trained engineer, John Melling, started building the 30-feet Trimaran yacht at the bottom of his back garden five years ago – but it has now outgrown its home and is proving a problem to move. Mr Melling, who works as a financial adviser, has completed the sleek vessel, which is 26 feet wide, and has grown so big that it has become wedged behind the fence at his home in Tywardreath in Cornwall. Actually he knew all the time that it would be too big to get out. Originally he had planned to have the RAF airlift it out. Seems they used to do that sort of thing as a training exercise but no longer do. So now he plans to take the fence down in order to get it out. 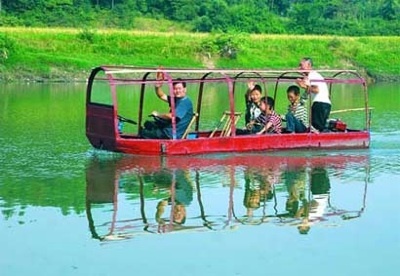 March 5, 2008 Posted by oldstersview | boat, Cars, People	| Comments Off on Motorized Peking Duck? 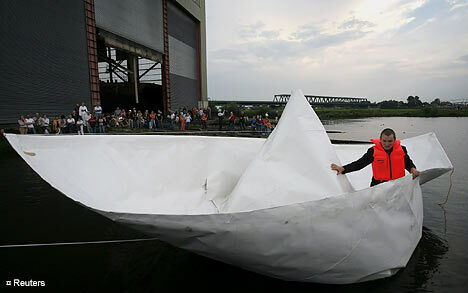 Artist Frank Boelter set sails in his lifesize paper boat as he leaves a shipyard in Lauenburg, Germany. 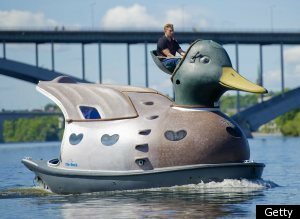 He constructed the 9-metre vessel from ‘Tetrapack’ and fearlessly sailed it up the Elbe, despite the fact the light material is more commonly used for packaging milk. The 37-year-old artist came up with the idea one breakfast time, while he was sitting at his kitchen table fiddling with an empty milk carton, which he cut up and made into a scaled-down model. 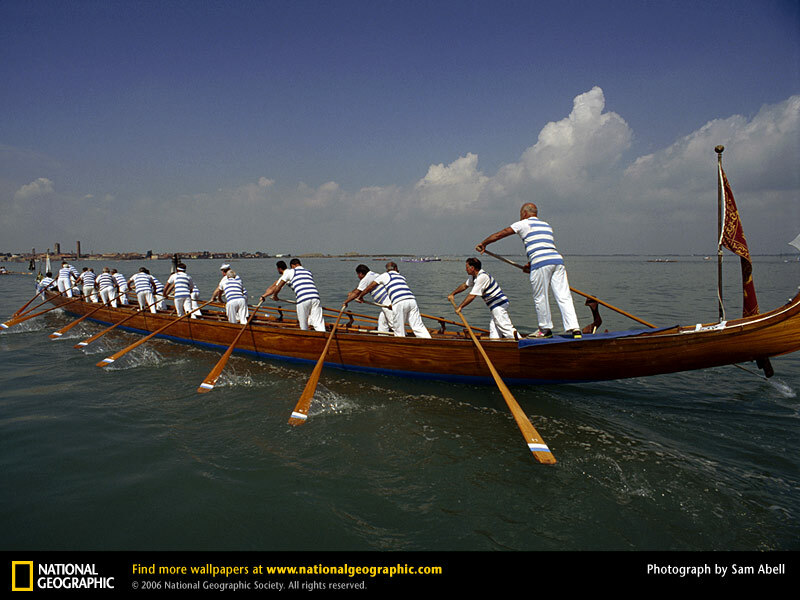 July 21, 2007 Posted by oldstersview | boat, cool stuff, People	| Comments Off on New Age Vikings?